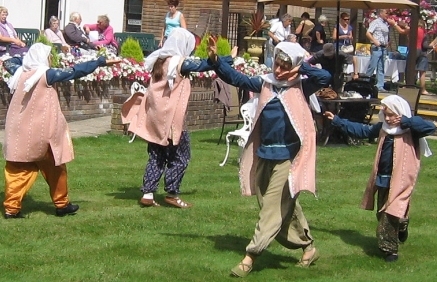 Maypole displays were cancelled because of wet weather in the first months of the year. 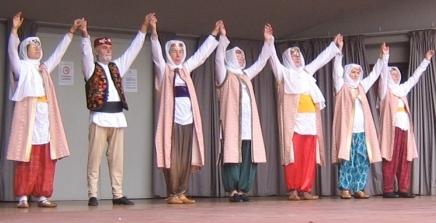 But we performed at the Victoria Embankment Gardens Theatre, as part of the summer programme from the Society for International Folk Dancing. 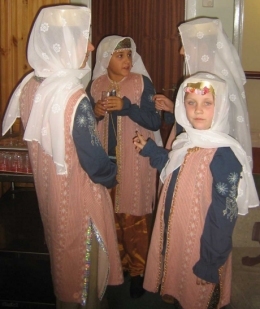 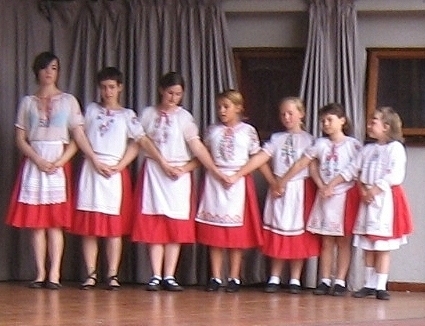 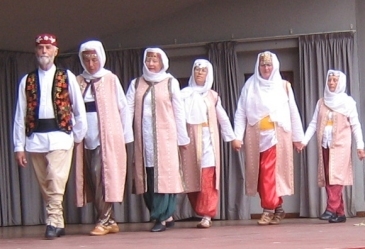 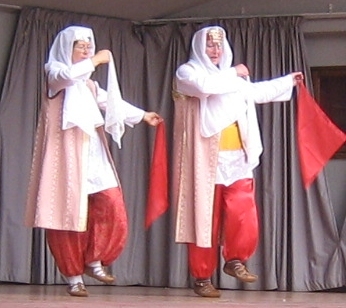 We performed Vira das Cavacas, Lerikos, Hohrehonsky Cardas, Fyrmanna Schottishe, Tugadin Tagadin, Ya da Kalinushka Lomala, Sussex Cottage, Jenny Pluck Pears, Valle Dardhare, Ajsino Oro, Im Gouzans, Dagh Gorani, Ege Karsilimasi, Azerbeycan, Fadike, Istanbul Kasap, Ham Cocelek and Tulum Havasi (although most of these photos show us just before, or just after a dance). 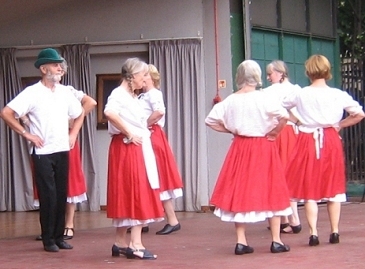 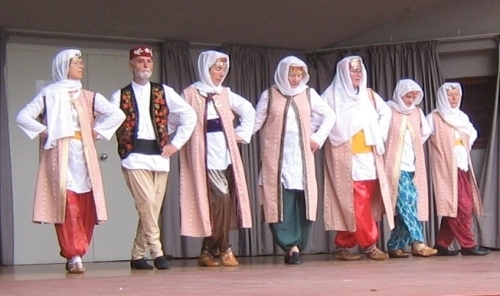 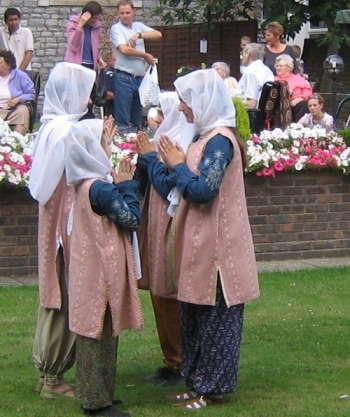 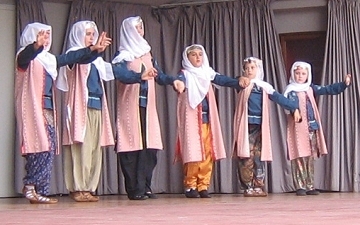 We also danced Turkish folk dances at a summer fair in Chichester. 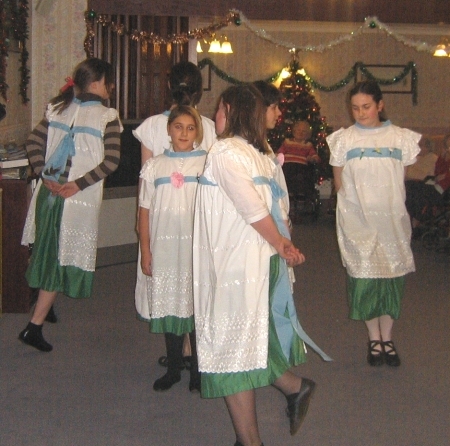 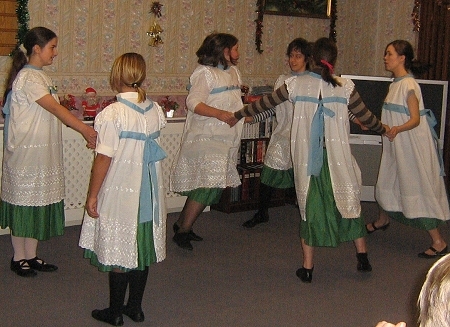 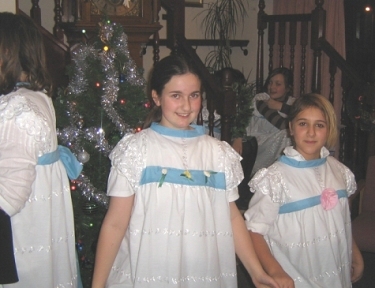 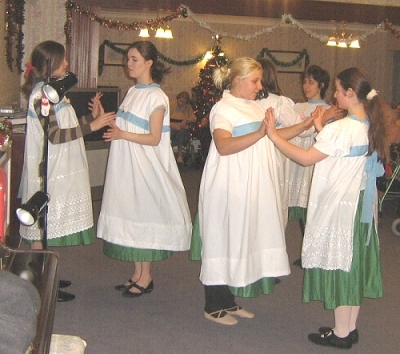 The last performance of 2008 was a Christmas visit to a Bognor Regis retirement home.